Feeling much better today, went out for lunch with friends which always makes me feel good. Had a great spinach and walnut salad, very yummy. But on the down side I have a seminar for work tomorrow but I guess I shouldn’t complain since I’ve had 10 weeks off! I think everyone loves chocolate and what goes best with chocolate than peanut butter and bananas of course. Today I was craving chocolate so it had to be a chocolate smoothie. 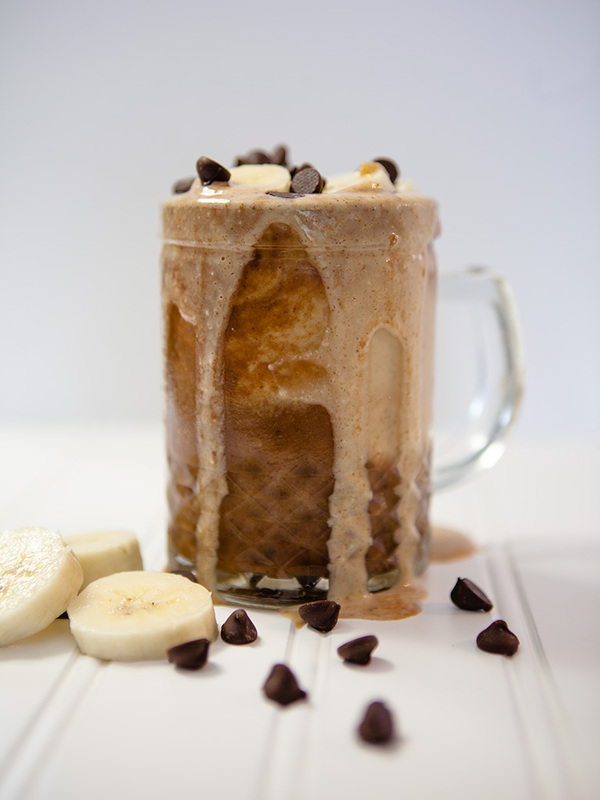 This smoothie definitely feels like dessert to me, topped with more bananas and carob chips. You could use vegan chocolate chips instead. This smoothie is very rich and creamy and is definitely not for someone following a low calorie diet, but as a treat its the best. 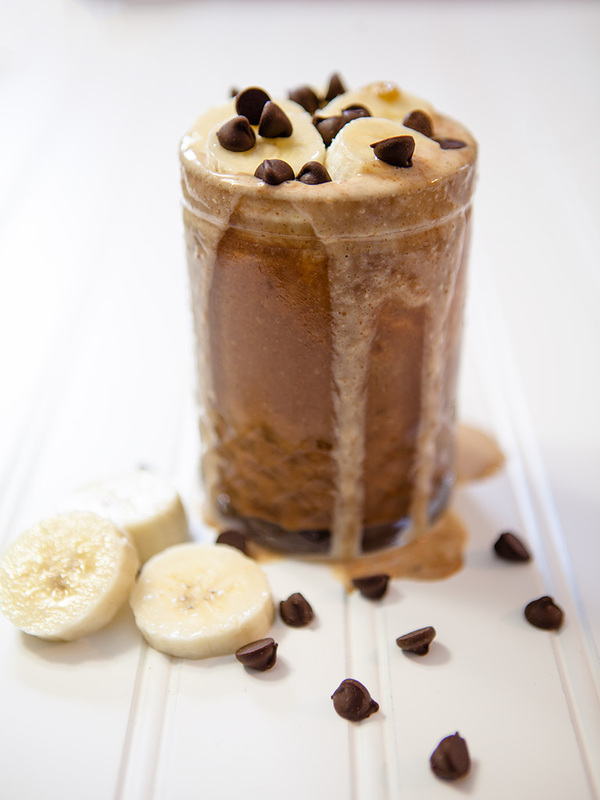 In Vitamix or blender blend all the Peanut Butter Smoothie ingredients together. pour into 2 small glasses or one large. Then blend the Chocolate Banana Smoothie ingredients pour on top of the Peanut Butter Smoothie. 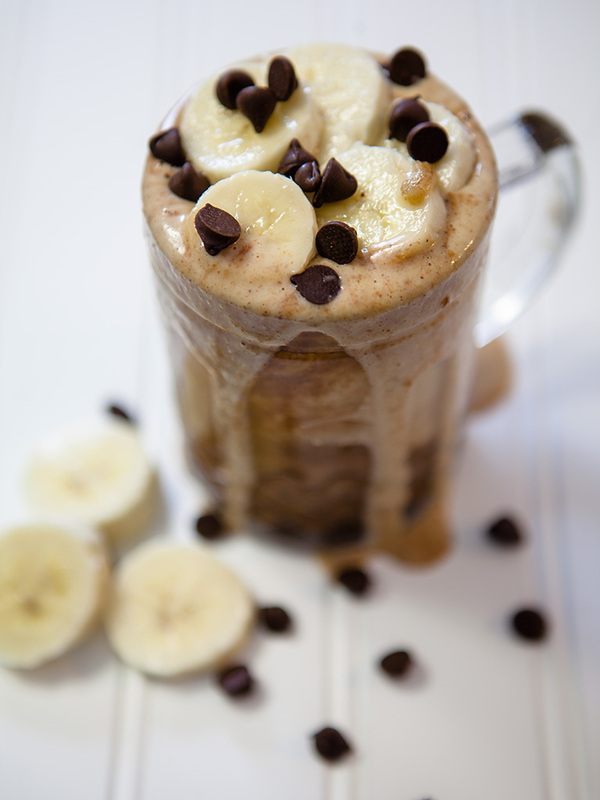 Top with sliced banana and carob chips.